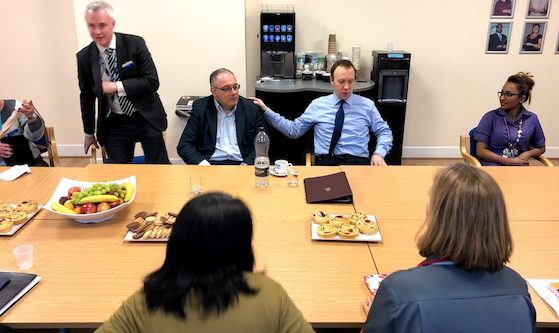 FOLLOWING an encouraging visit from the Health Secretary, Matt Hancock, to the Princess Alexandra Hospital in Harlow on Friday 1st February, Harlow MP, Robert Halfon has secured his fourth debate in the House of Commons on the need for a new hospital in the town. His speech, which will be delivered at 16.00 on Wednesday 13th February, will focus on NHS funding in Essex and offers the chance to put further pressure on the Government to release capital funding for a new hospital in Harlow. Throughout his time as MP, Robert has diligently campaigned for a new health campus that would provide both medical and training facilities in one place. He has worked hard to bring in investment into the town, and with the move of Public Health England, the health campus would help make Harlow the science-health capital of England. The campaign has really taken off, not only with the Health Secretary’s visit, but also with Robert’s questions during Prime Minister’s Questions on Wednesday and to the Treasury, last Tuesday. In his previous debates, Robert has had support from MPs in neighbouring constituencies in Essex, who also worked together on a joint letter to the former Health Secretary, Jeremy Hunt, in May, last year. 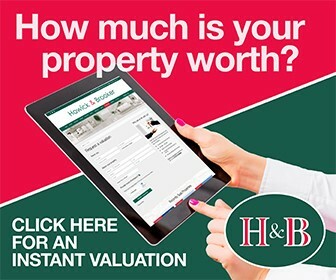 4 Responses to "Harlow MP Robert Halfon secures further debate in House of Commons on new hospital for Harlow"
R H looks certain to acquire the new hospital that the area is definitely going to need. Just have a look at the foolhardy development plan for Harlow,Gilston and Epping. massive influx of new residents, is a guarantee. They couldn’t organise the proverbial. Whilst it’s great we’re still debating regarding should we have a new hospital,it’s disappointing that yet again no decision has been made. There is a simple truth that West Essex requires a new centre and has done for several years. Talk is cheap action is real. Let’s not forget the majority of health care is provided outside the hospital walls and it’s really important that community and primary care isn’t forgotten about. Old and young rely heavy on community and primary care in either their own homes or GP surgeries. We can’t allow the government to reduce budgets in social and primary care sector and then claim the victory of a new hospital centre. Delighted that yet another debate has been secured but when if ever will this government give us the only answer that West Essex needs which is a fully public funded hospital centre. I am 100% in favour of relocating the PAH but on one condition. That condition being, a bus route is put in place to transport those who have no means of their own to travel from Harlow to whereever the new hospital will be located. Public assess including public transport would be part of the planning application. It’s a good point as several years ago the local bus company reduced certain services to Broomfield Chelmsford which effected staff and visitors. Equally with some services switching between Colchester and Ipswich there remains significant issues about how patients and visitors can access these transferred services. We share the same concerns.